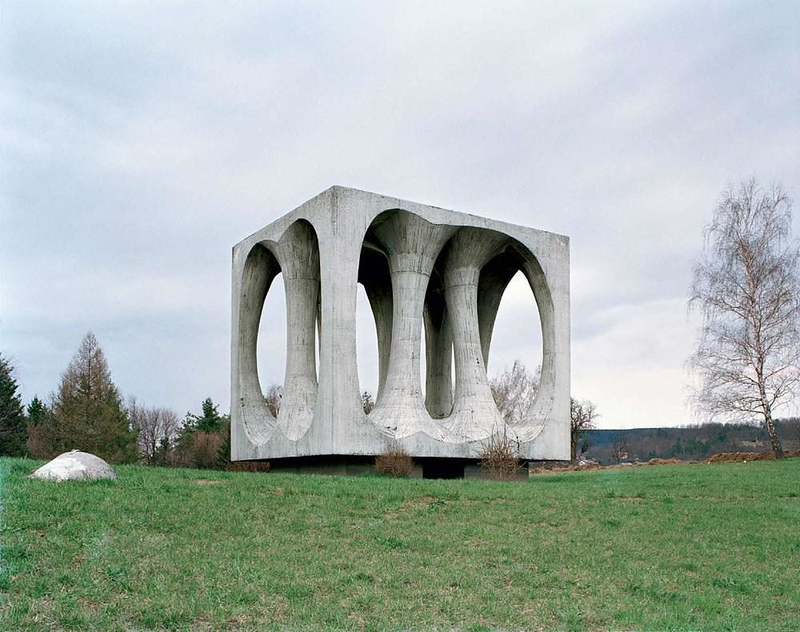 HomeBlogArchitectureSpomenik The Monuments of Former Yugoslavia. 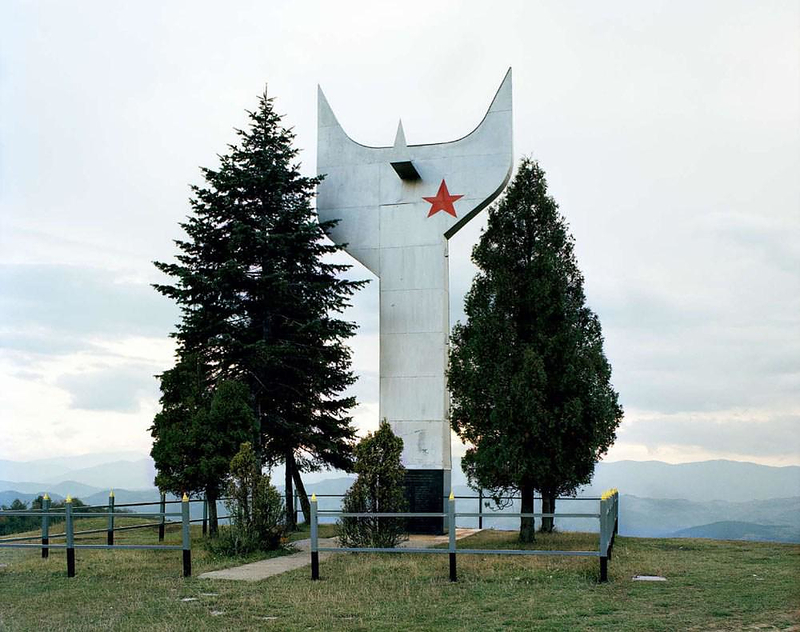 In the rugged, mountainous regions of the former Yugoslavia, Spomeniks are everywhere. You’ll see them on strategic outcrops, lofty passes and sweeping plateaus: gigantic sculptures, firmly anchored to the rocks. They are objects of stunning beauty. 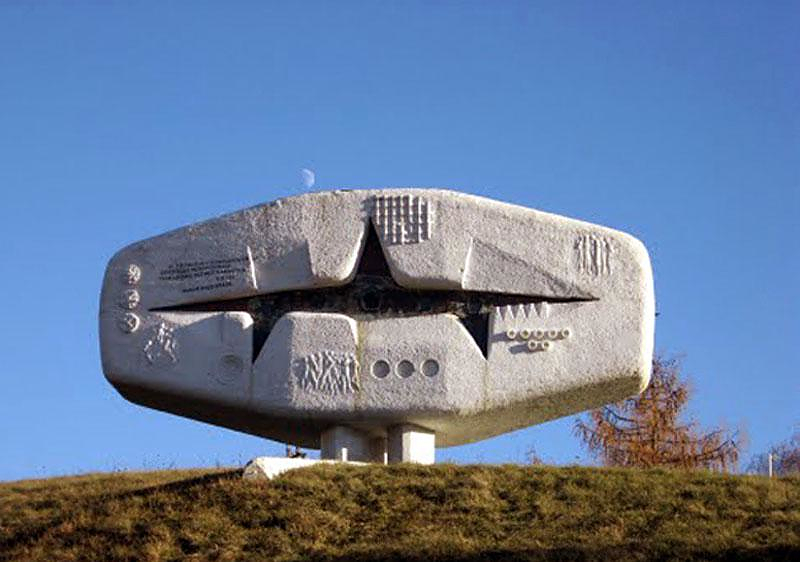 Translated the word Spomenik means “Monument”, these gigantic, unusual, monuments are the reminiscences of a different era. Their abstract geometric shapes recall macro views of viruses, flower-petal goblets, crystals. 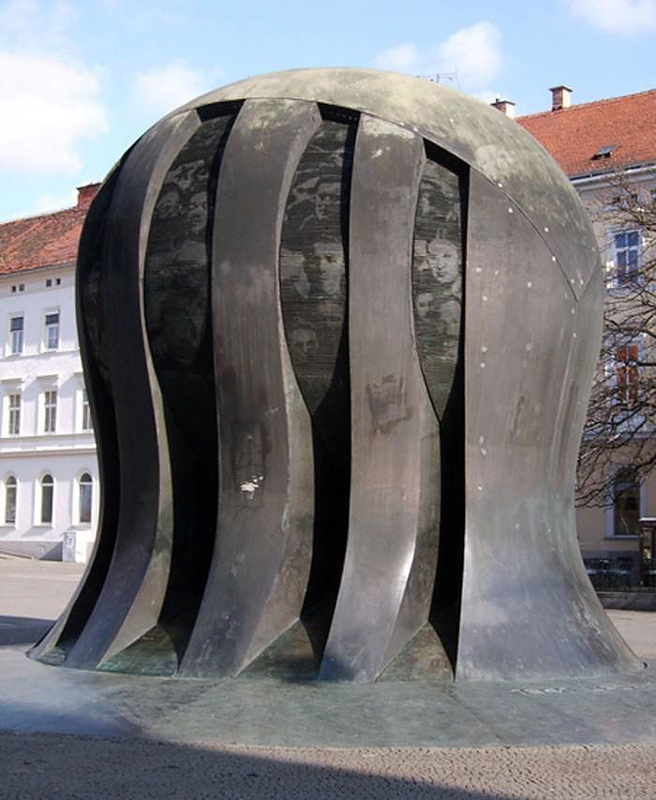 They are built of indestructible materials like reinforced concrete, steel and granite. Some are solid, others hollow. 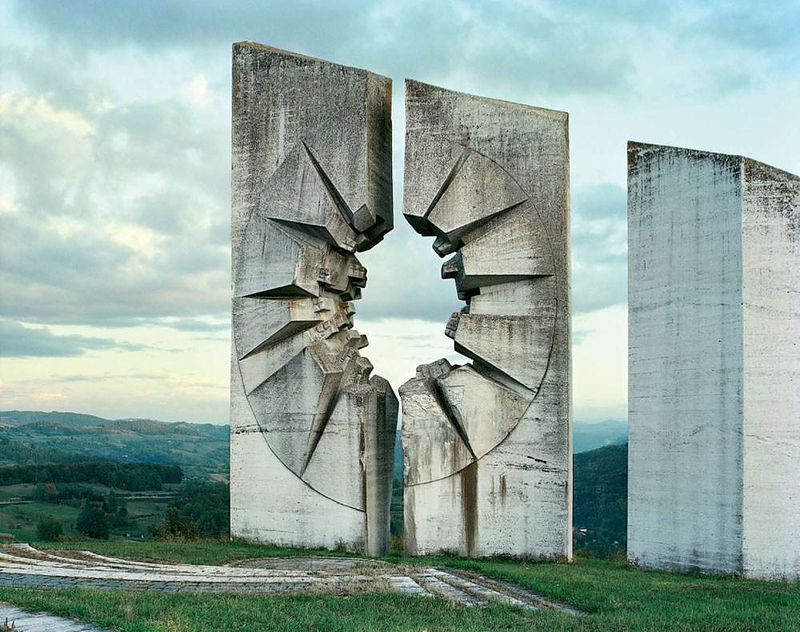 The largest Spomeniks even afford access to the public, teetering on the boundary where sculpture becomes architecture. 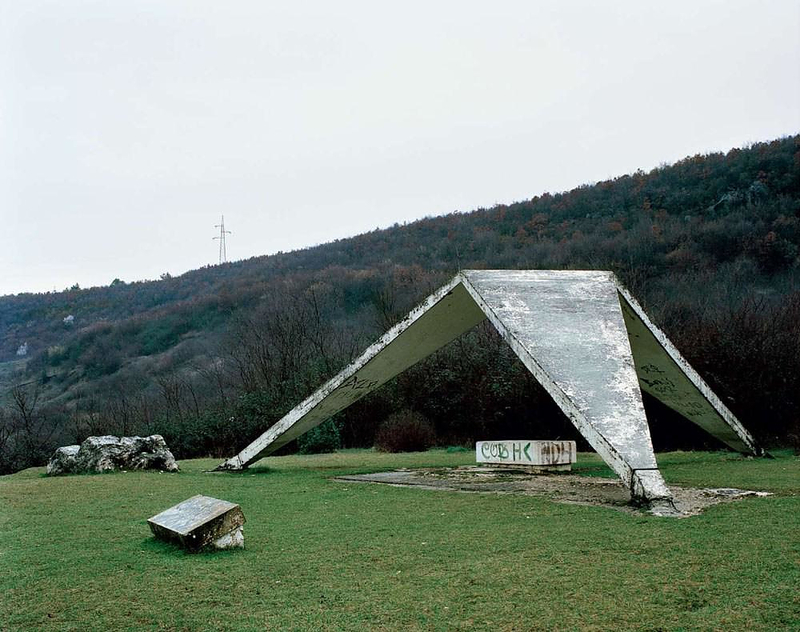 The Spomeniks’ background unfolds a strange story. 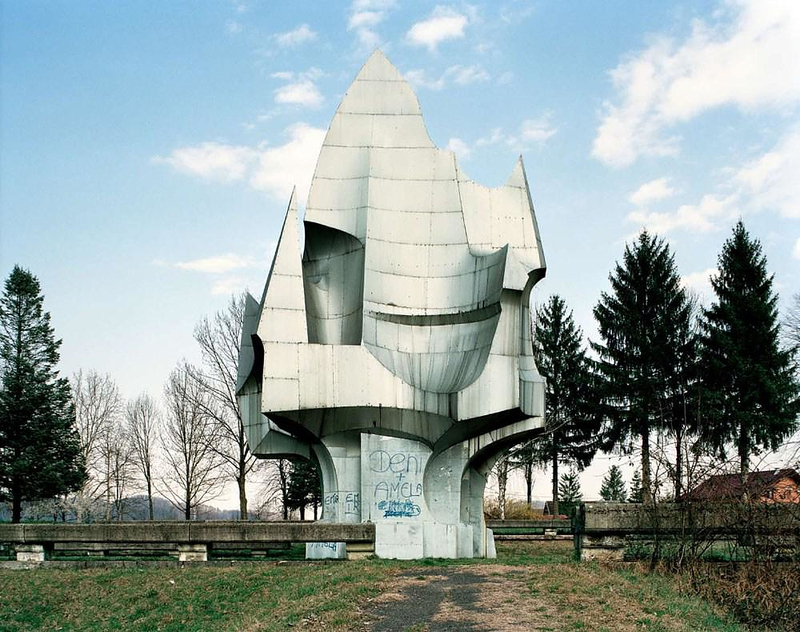 Other monuments dating from the same period, such as the Atomium in Brussels, remain crowd pleasers. Comparable works of sculpture by Western artists of the same era are universally respected and warmly embraced by the public, having become part of the art historical canon. 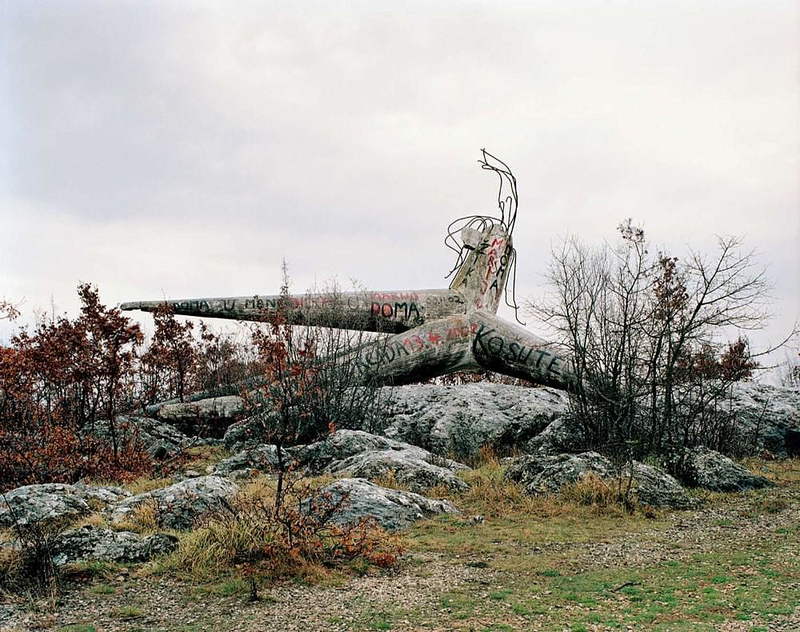 It is only very rarely that they fall victim to acts of blind destruction, as was the fate of monumental sculptures by Alexander Calder, Jean Dubuffet and Fritz Koenig, which had the misfortune to be located next to Al-Qaeda’s target in New York. 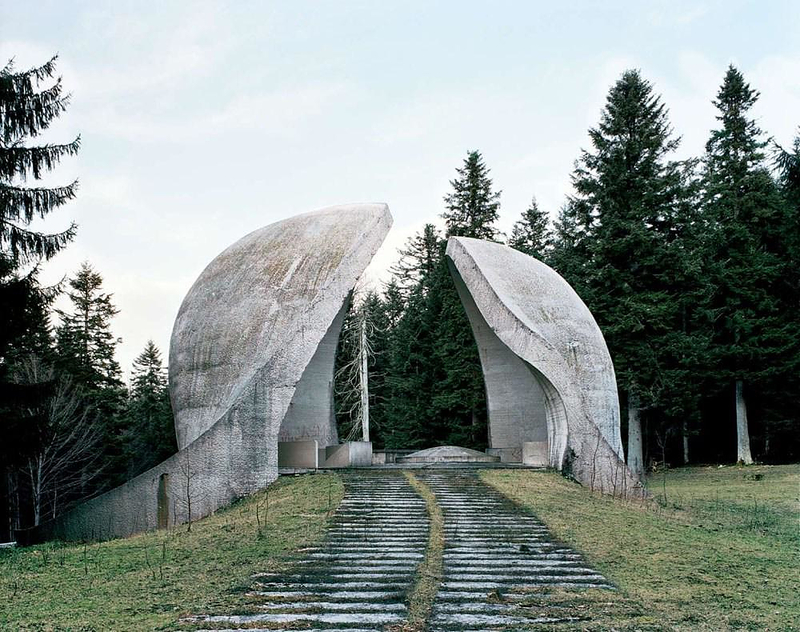 Incidentally, Fritz Koenig has created memorials for the Maut-hausen concentration camp and for the Munich Olympic Massacre. 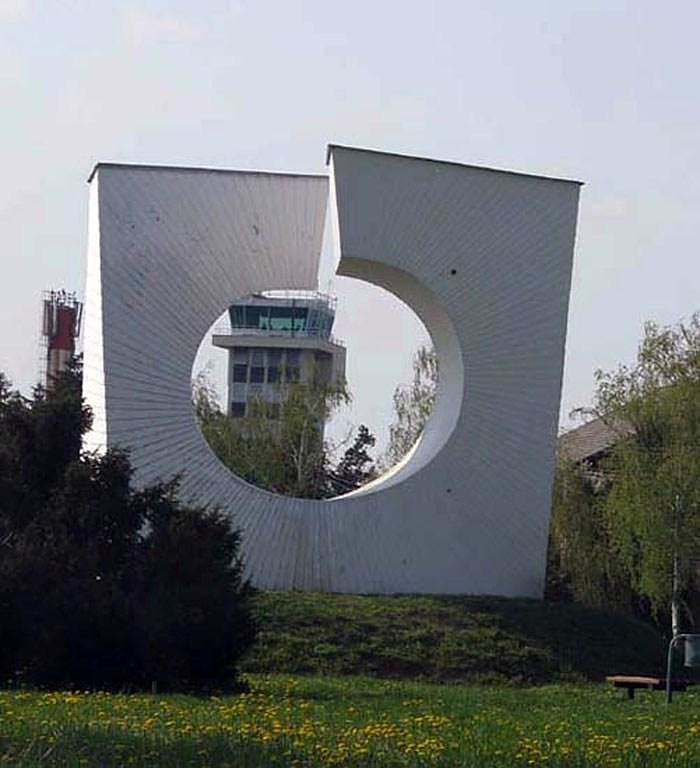 It is one of history’s odd twists that it was in fact a non-memorial work of his, the eight-metre-high ‘Sphere’ from 1967, that was salvaged, heavily damaged, from the wreckage of the World Trade Center and turned into the memorial for the victims of 9/11. It stands in Battery Park, in all its scarred glory, like a Spomenik in reverse. It is understandable that statues of Stalin or Saddam, no matter how well they may have been crafted by their creators, have been pulled from their pedestals as icons of dictatorship. 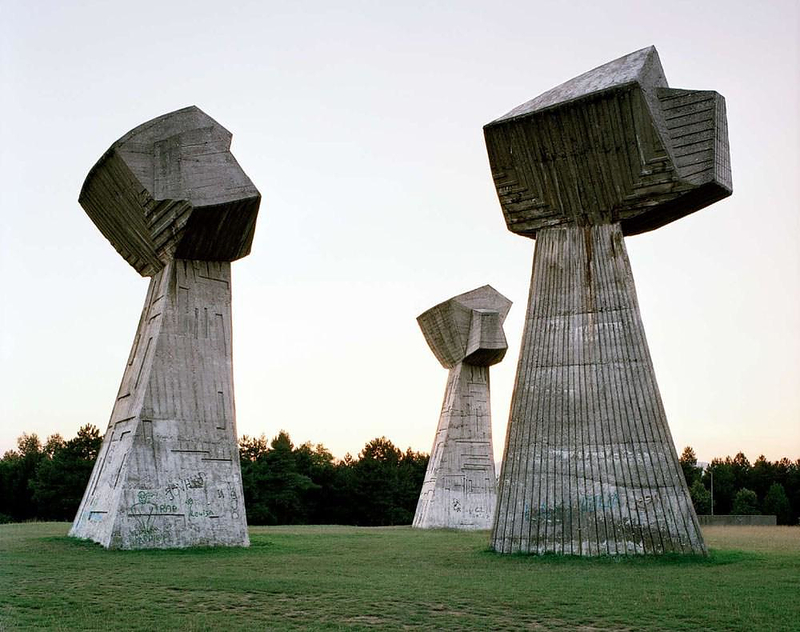 What is remarkable about these Spomeniks, however, is that they are completely abstract, devoid of the cult of personality often found in Eastern Europe. They are not busts of great leaders, they bear no symbols like stars or sickles, do not depict workers or farmers’ wives brought to life in muscular marble. The objects reveal an iconography of festive decorations: flowers, streamers, lanterns. Their stance is neutral, referring to nothing but themselves. They fit seamlessly into the Sixties-era aesthetics of Barbarella movies, Paco Rabanne dresses and Lava lamps. 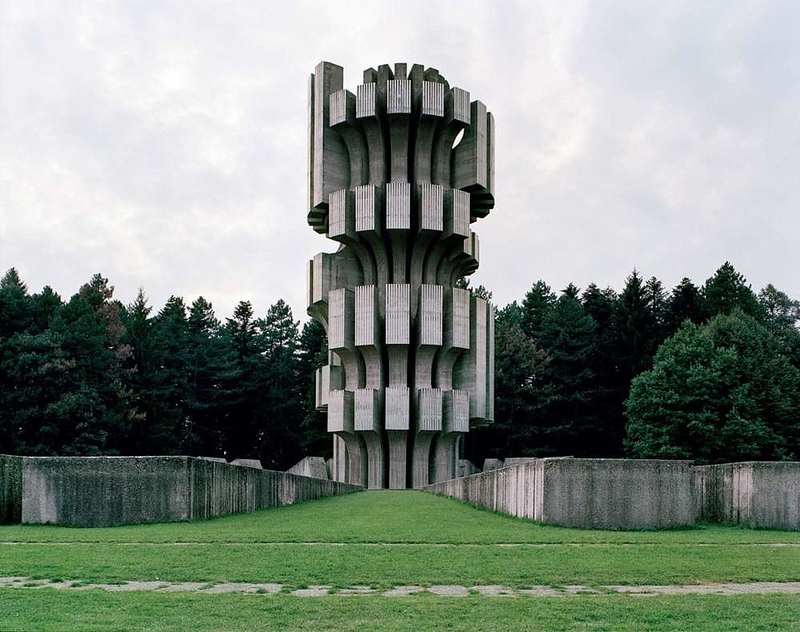 And yet, every single one of them is a memorial monument to the most atrocious events of the Second World War, marking the sites of bloody battles and sinister concentration camps. 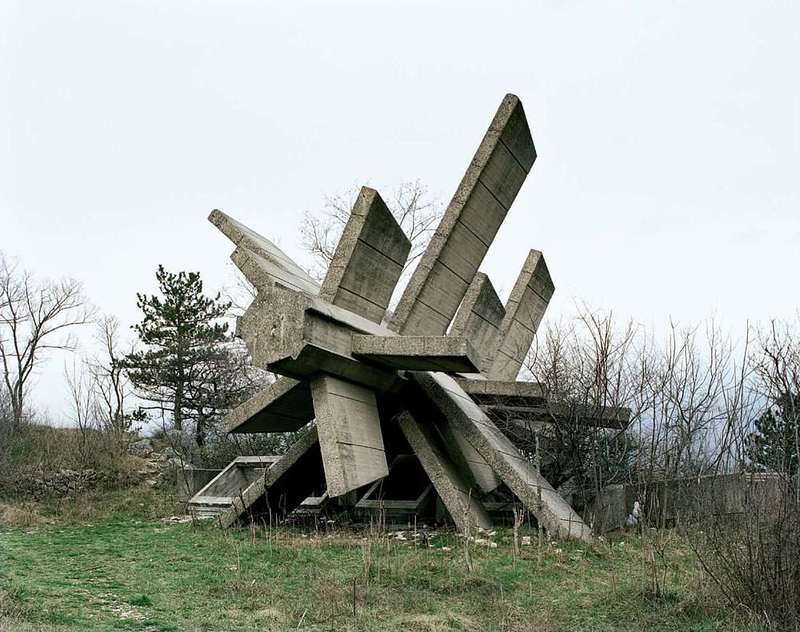 In multicultural Yugoslavia, however, the Second World War was a layered and ambiguous situation. Not only a war of liberation against the aggressor Nazi Germany, but also a civil war with complex oppositions between ethnic population groups who fought one another from different points on the ideological spectrum, such as the Partisans, the Ustaše and the Chetniks. 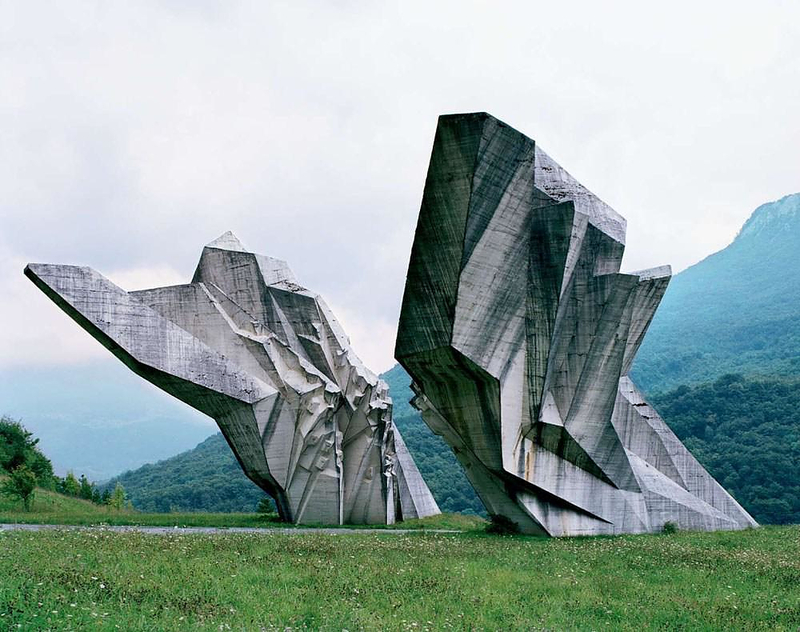 For this reason, the war monuments could assume neither a heroic nor a patriotic guise. In other words, they had to be neutral enough to be acceptable to both victims and perpetrators. 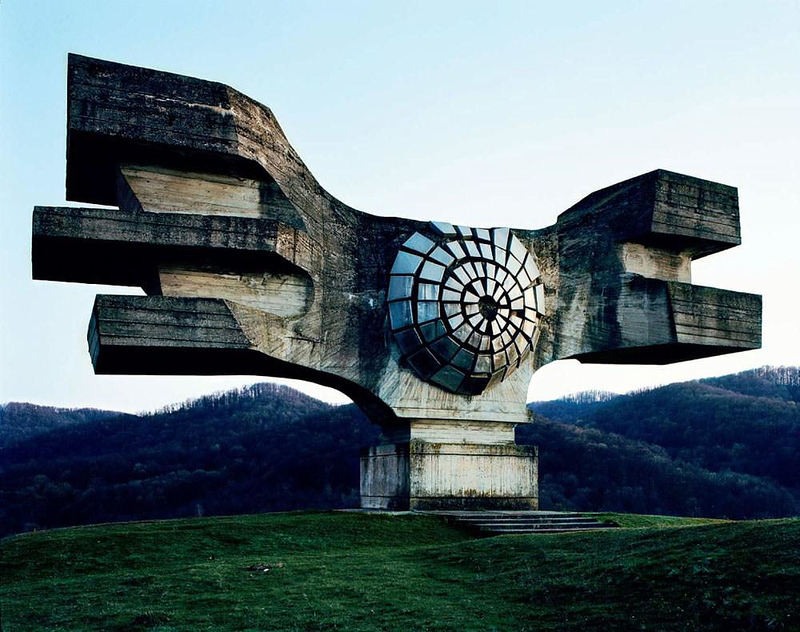 After all, once the slaughter was over, the former opponents had to collectively form the Socialist Republic of Yugoslavia together. 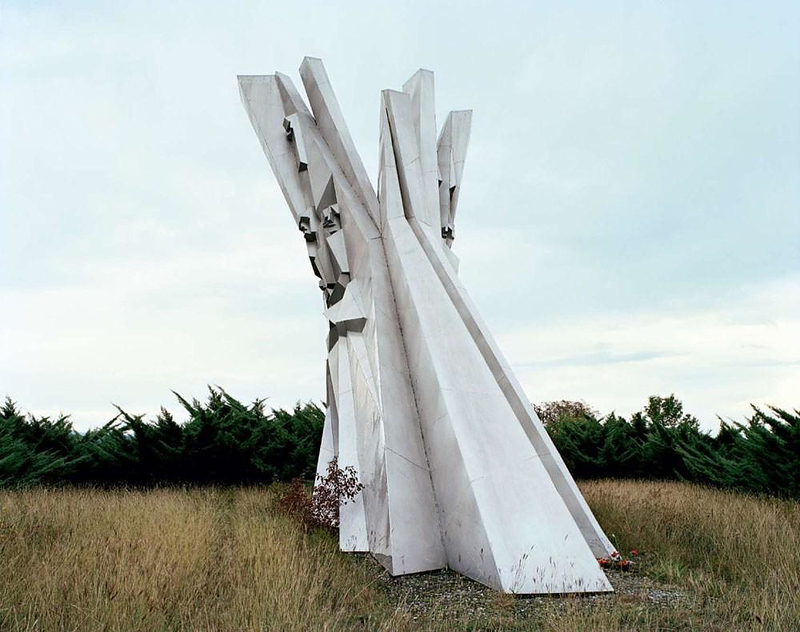 Hence the choice of a neutral, almost frivolous visual language, whereby the Spomeniks look more like sculptures in an open air museum than the usual war memorials full of military pathos and thundering cannons as were erected at Verdun or Stalingrad. 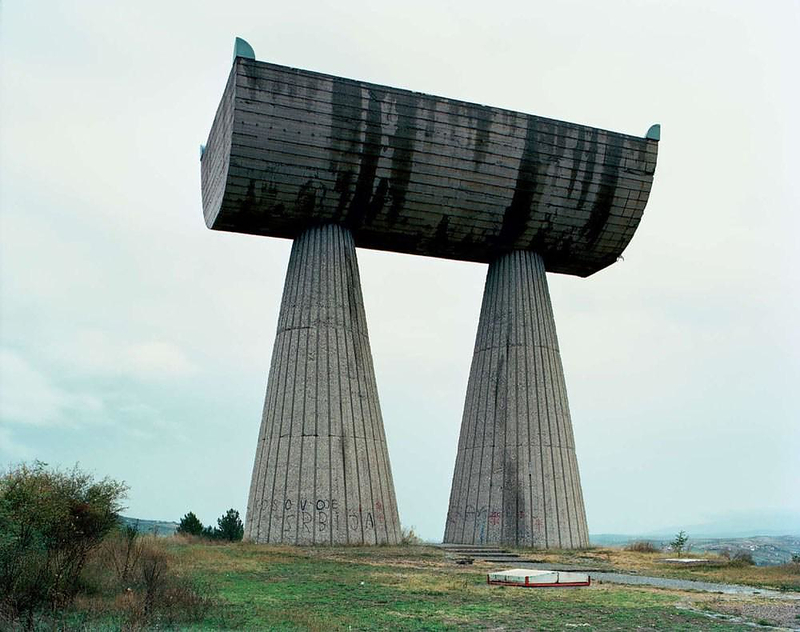 The good intentions of the artists and the politicians ultimately proved to be the tragedy of these objects. 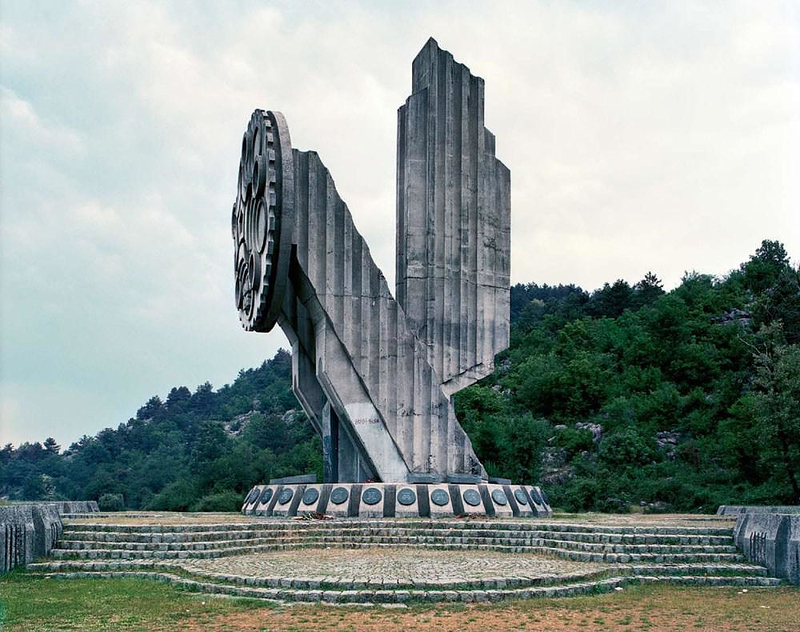 The Spomeniks were places of forgetting, while they should have been places of remembering. They formed a cheerful backdrop for the bright future awaiting the socialistic model society, the official policy line of which was to smooth over all of the former conflicts. 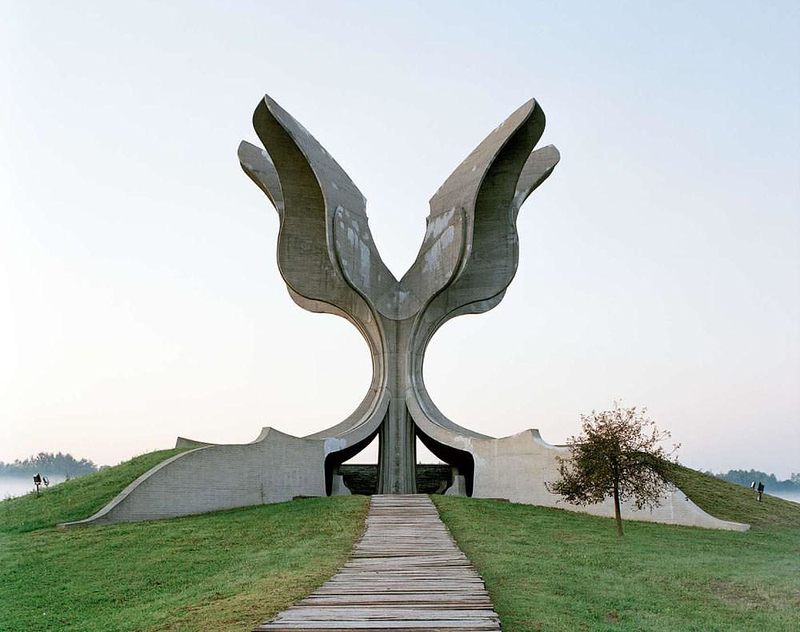 Many commentators on the war in Yugoslavia in the 1990s thus declared that the events unfolding were the inevitable extension of the Second World War. 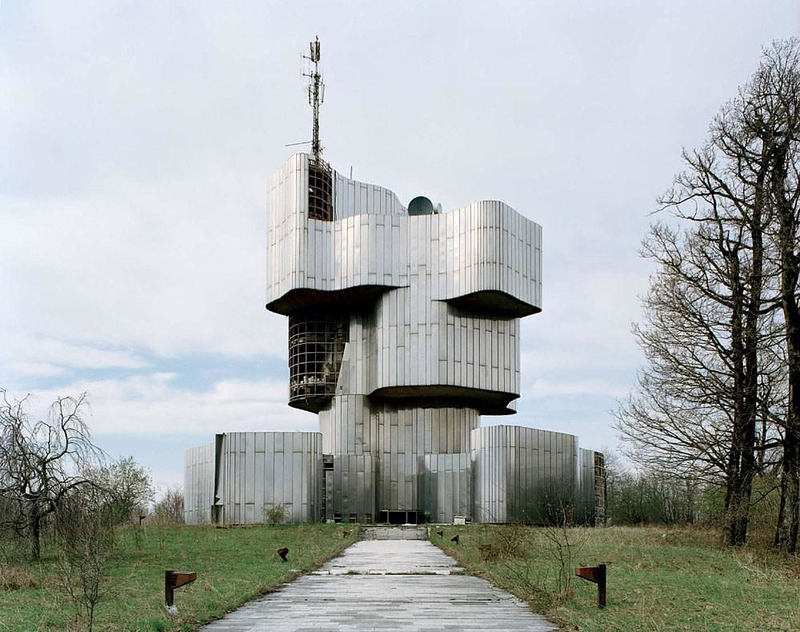 The fury unleashed upon the Spomeniks after 1992 was not merely settling the score with the old socialist system, but was also exposing that hidden history that had led to the reopening of Pandora’s box in the first place. 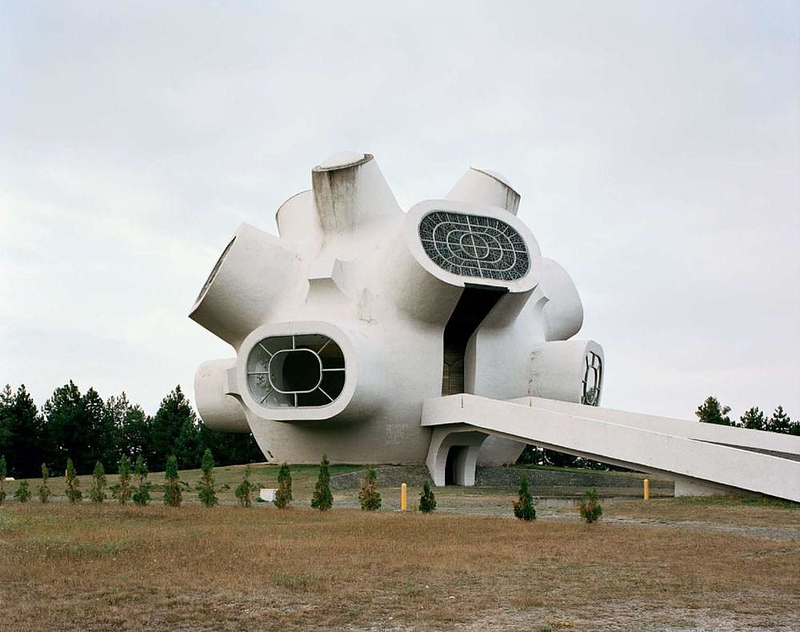 The Antwerp-based photographer Jan Kempenaers undertook a laborious trek through the Balkans to photograph a series of these mysterious objects. He captures the Spomeniks in the misty mountain landscape at sundown. Looking at the photographs one must admit to a certain embarrassment. 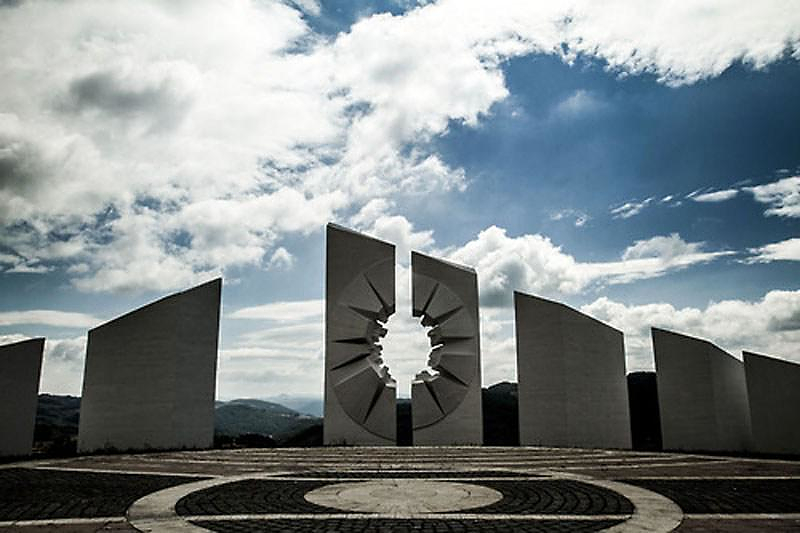 We see the powerful beauty of the monumental sculptures and we catch ourselves forgetting the victims in whose name they were built. This is in no way a reproach to the photographer, but rather attests to the strength of the images. After all, Kempenaers did not set out as a documentary photographer, but first and foremost as an artist seeking to create a new image. An image so powerful that it engulfs the viewer. 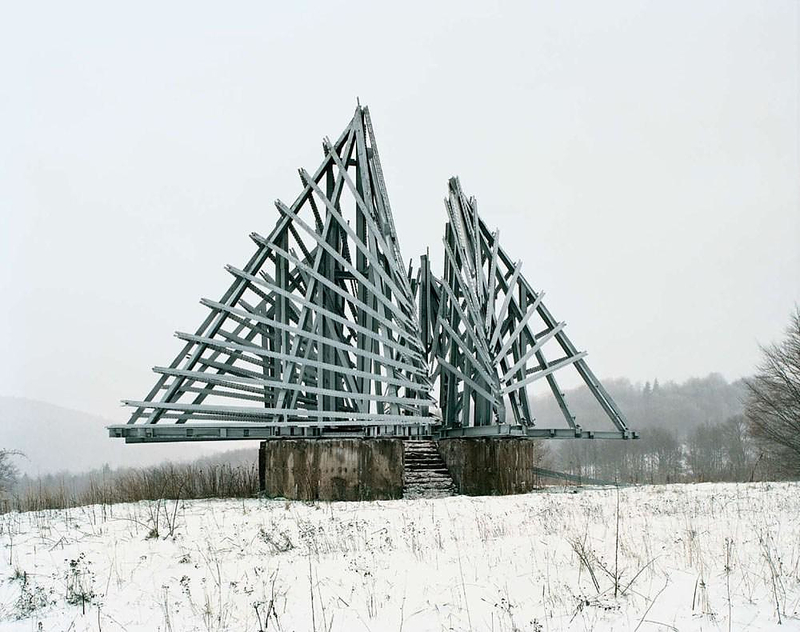 He allows the viewer to enjoy the melancholy beauty of the Spomeniks, but in so doing, forces us to take a position on a social issue. 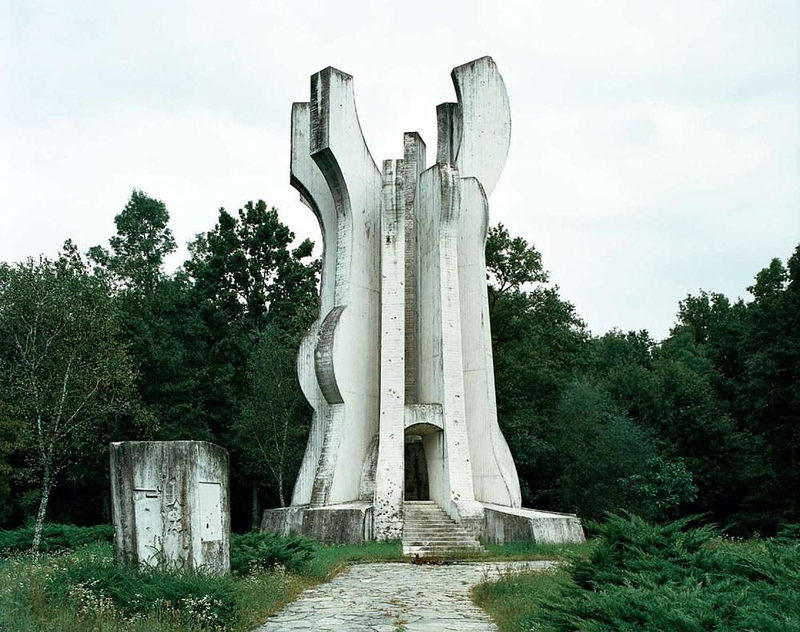 The photographs raise the question of whether a former monument can ever function as a pure sculpture, an autonomous work of art, detached from its original meaning. 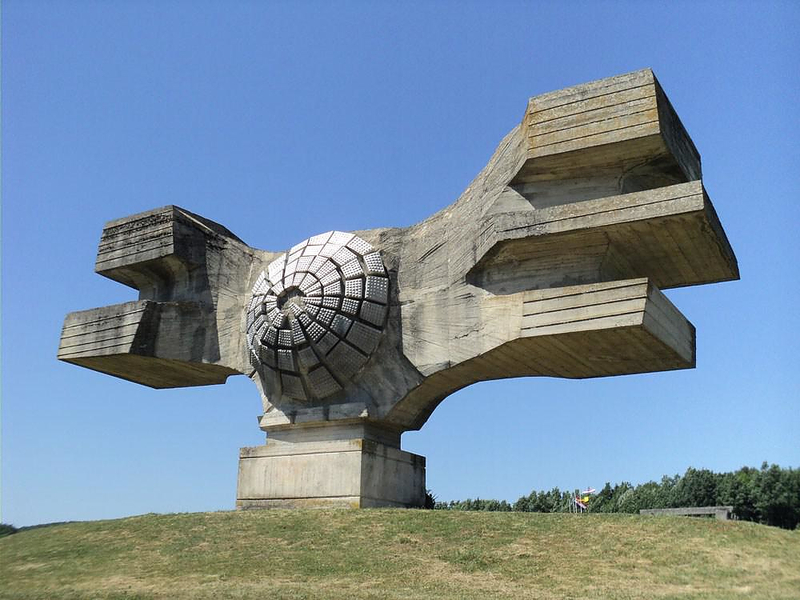 Can a Spomenik follow the opposite trajectory of Koenig’s ‘Sphere’? 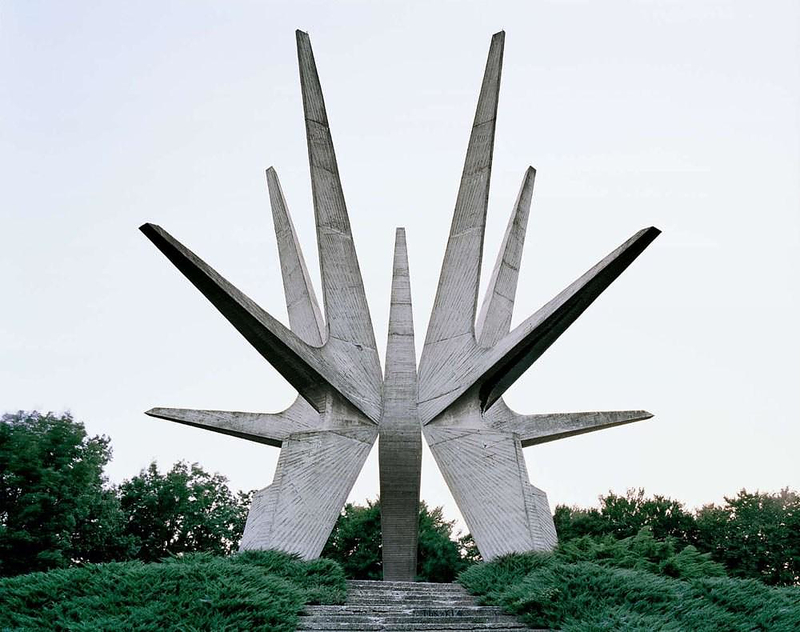 Can it live on, after its ideological progenitors are dead and gone and its symbolism is no longer intelligible? It has been known to happen. 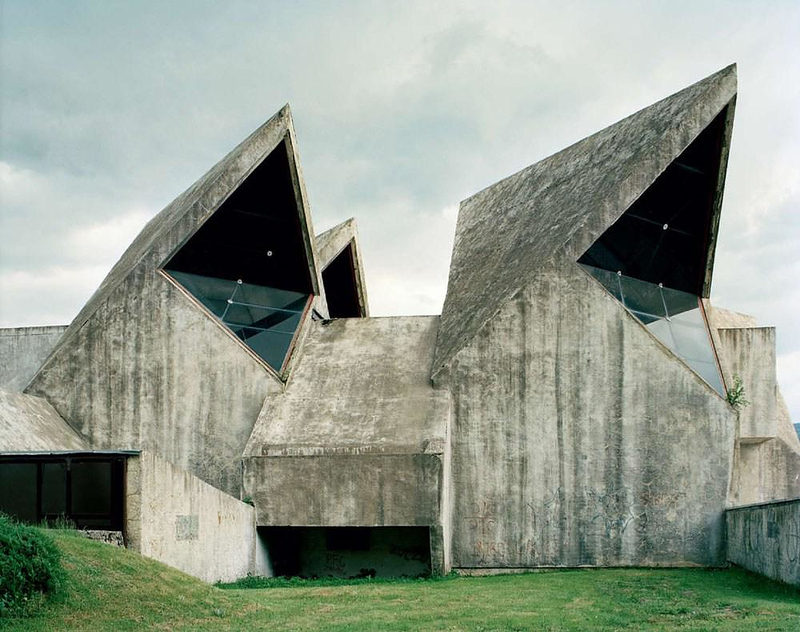 Think of the Casa del Fascio in Como, the headquarters of the Italian fascist party that was built in 1936 by the architect Giuseppe Terragni, and has come to be revered worldwide as an icon of the modernist architecture of the 20th century. Along the way it has managed to completely disassociate itself from the original clients and the sinister plans that they hatched within its walls. The Spomeniks have not quite reached this stage yet. They currently stand forlorn and forgotten, where they once would have been encircled by singing young pioneers and long-skirted oldsters with flowers and candles. No people appear in the photographs. They have the air of the morning after a party: the smell of cigarette butts and stale beer, sodden streamers and guttered lanterns. It is the memory of the socialist party that is all over now. And yet, this is precisely what enriches the monuments’ meaning. 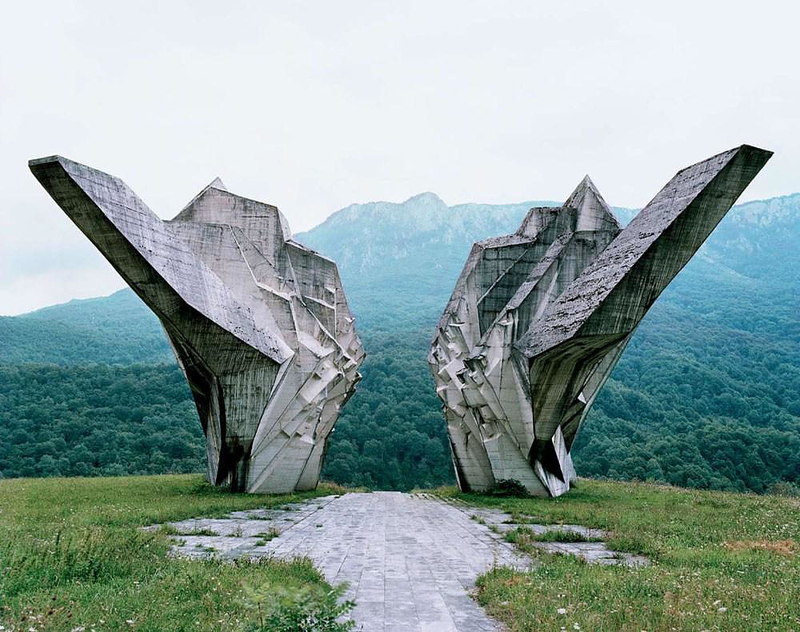 In their dilapidated condition, they are no longer symbols of victory, but for the first time, true symbols of a newfound mourning. They seem to grieve for the horrors that took place where they stand, 60 years ago. Perhaps this makes them richer, more seasoned, beautiful and effective now. They no longer charm with their pristine beauty, but their gritty countenance commands respect. That is the conjurors’ trick of the Spomeniks, which Kempenaers masterfully reveals in his photographs. The fourteenth picture with vertical pipes is located in Helsinki Finland. 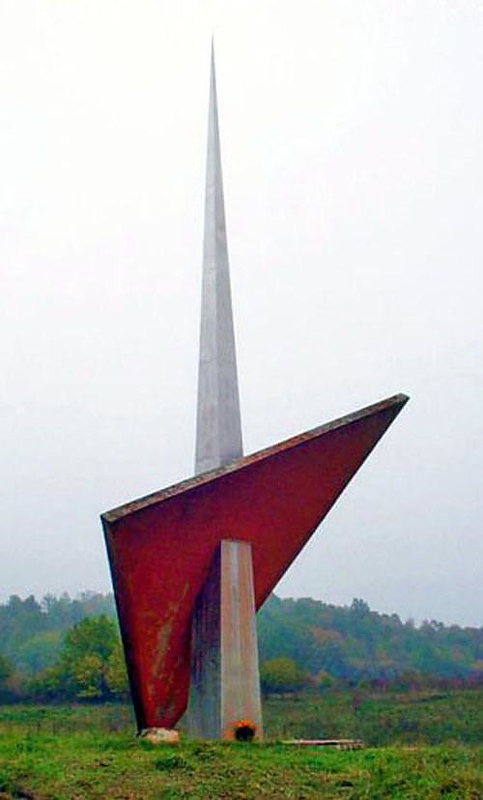 It is a Sibelis monument made by Eila Hiltunen in 1967. Thank you for the meaningful and informative comment Marina. We will make sure to correct it!